This picture was taken after a huge snowstorm in February. 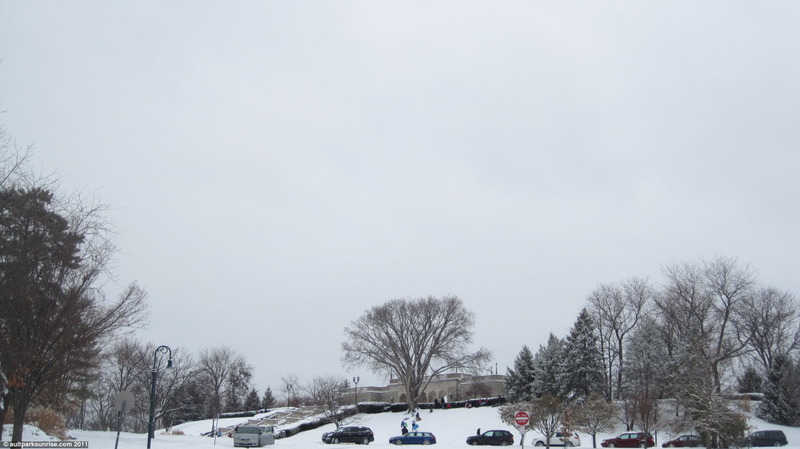 Most of the local schools were closed, the kids were out sledding down the hill. Here’s to a warm and beautiful 2011! This entry was posted on April 5, 2011 by Ault Park Sunrise. It was filed under ault park and was tagged with aultpark, cincinnati, winter. Hey! Just wanted to drop a comment. It is cool to see people so stoked simply about the world we live in and all the accompanying phenomena. Keep doing your thing man, and hopefully some other people will realize how awesome of a place cincinnati (much less the world) can be, if you only know the right places and times to look. See you up at ault bright and early some day soon. Shine on sun, peace.